Just in time for Christmas, the highly collectible Grace: Thirty Years of Fashion at Vogue has been re-released for the first time since 2002, when its limited-print run quickly sold out. As reported by U.S. Vogue, up until last month, copies were selling anywhere from £1160 to £8,000… quite a bit more than its original £80 retail price. The book features longtime U.S. Vogue creative director Grace Coddington's fashion essays alongside images from the magazine's corresponding collaborations with legendary photographers such as Helmut Newton. 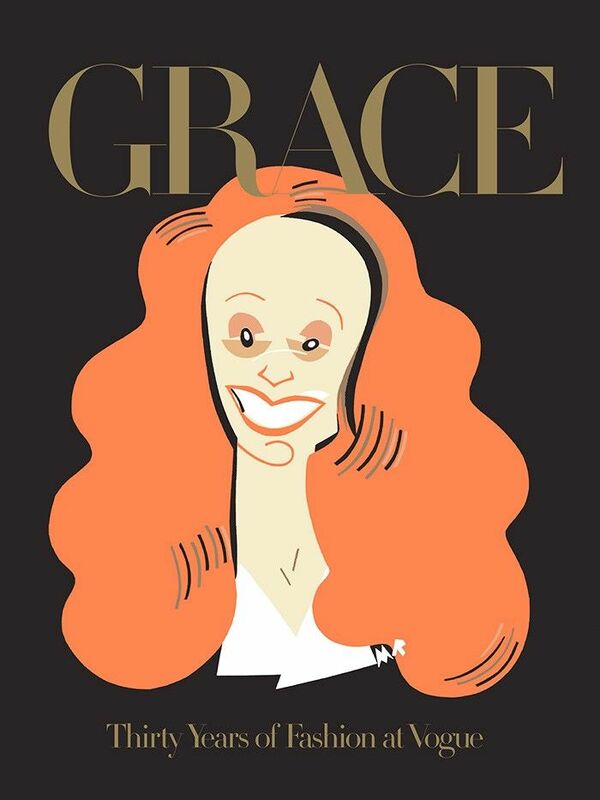 The cover, featuring a cartoonlike rendering of Coddington in all of her ruby-haired glory, is the perfect addition to any coffee table or bookshelf. It was Coddington herself that urged the publishing house Phaidon Press to re-release the book in its original form for the retail price of £100. But act fast: It's already sold out on Amazon. In other good news, a follow-up volume is in the works for 2016, featuring Coddington's most memorable post-2002 shoots. As far as we see it, the more Grace, the better. Scroll down to shop the book and Coddington's 2012 memoir! Do you have either of these books? Which is your favourite? Tell us in the comments!